Can you help Age Friendly Skerries? Skerries is an Age Friendly Town, i.e. a town where the community understands and responds to the needs of older people. The Skerries Chamber of Commerce and Prosper Fingal Piercetown undertook to participate in the Business of Ageing programme, which is also being rolled out in the town. Feedback from the all of this consultation was used to develop an Action Plan for the town, which will be launched shortly. An Age Friendly Town Committee of Skerries Community Association is in the process of being established. This group will – among other things – be collating all existing relevant information; developing a new user friendly information database; and deciding on how disseminate this information to all the relevant stakeholders and older people themselves. The Age Friendly Town Committee need your help! 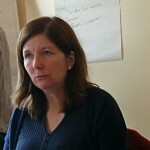 Mary Conway and Brendan Sherlock of Skerries Age Friendly Town need your input. We need up-to-date information on your services for older people. We need up-to-date information on the club. What are you doing for older people or former members and / or would you consider hosting an event for older people in the town at least once a year? With your help we would like not only to update information in the town, but also to put together a calendar of events for older people in the town. Please send your ideas to mary.conway@skerriesca.com or brendan.sherlock@skerriesca.com. Age Friendly Town Skerries – A new committee! In 2013, Fingal County Council, in association with Age Friendly Ireland, selected Skerries as the town in which to pilot the Age Friendly Town process in Fingal. 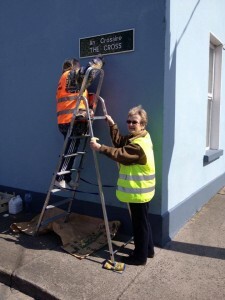 This was something that Skerries Community Association had been wanting to do for many years. 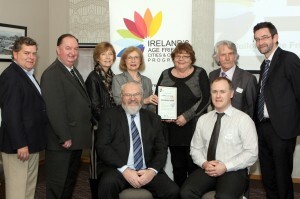 Participation in the “Business of Aging” programme on the part of Skerries Chamber of Commerce and Prosper Fingal. The upgrade and enhancement of the Town Park making it more accessible for all. Roll out of OPRAH (Older People Remaining at Home) initiative by the HSE. In conjunction with the HSE 26 people are being cared for in their own homes by the provision of extra care services. This is organised by the District Nurse, the patient’s doctor and the HSE. Roll out of befriending programmes to alleviate social isolation. Crosscare are organising visits to people’s home once a week for a chat for an hour where people have indicated the need for such a visit. Both the client and the visitor are visited by Crosscare first and the visitor is Garda vetted. There were 17 volunteers in August 2015, and Cross Care were in the process of getting more volunteers. 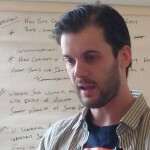 Setting up of, and support for, Carers’ Meetings in association with the Carers’ Association. In conjunction with the Liaison Committee two seats have been placed in Strand Street.A walkability study was done with a number of people to identify hazards and some repairs were carried out and some more need identifying to the Council. The Fingal Alliance group and the Skerries group attended a meeting with Beaumont hospital with a view to making it more user friendly. The vantastic bus to the hospitals is working well. You do need to register first and then book your seat on time 5 euro each way. Provision of information on services and social clubs. An information Pack was launched in August 2014 and will be distributed to all of the established estates in the hope to reach will get most of the older people. The information pack is also available in Skerries Library and in the Citizens Information Office, New Street, as well as at Reception in our Community Centre. Citizens Information in New St are updating their local file of information in addition to all the other information and will be happy to help with Age Friendly information. It is our aim to have a full internet-enabled data base for everyone in Skerries when we get more resources. Building and maintaining a database of all services available in Skerries (for everyone including the over 55s). Promoting and facilitating greater inclusion in the social, cultural and sporting life in Skerries on the part of older adults. Building up and maintaining a network of older people who can be contacted in person or via the phone as well as via online or print means. We are doing the above in partnership with FCC (Eithne Mallin) who is coordinating the delivery of other age friendly services in Skerries by a number of organisations. FCC is supporting us by providing information about sources of funding and useful contacts etc. 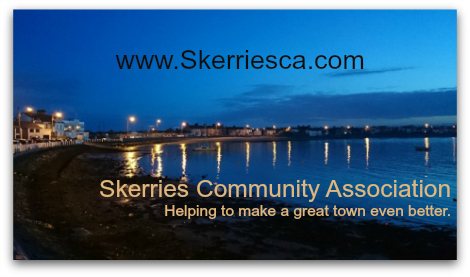 The committee is part of The Skerries Community Association Ltd. If you or someone you know would like to get involved, please email agefriendly@skerriesca.com. 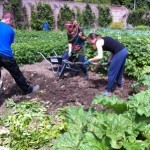 A Community Food Garden for Skerries? 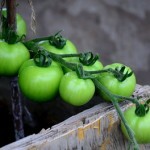 This month, Sustainable Skerries (one of our Skerries Community Association committees) hosted a public meeting about setting up a Community Food Garden in Skerries. The Skerries Community Garden logo looks promising. 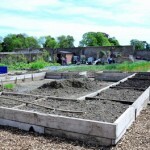 A Community Food Garden is land gardened by and for the benefit of the community. Following an informative presentation from a representative of Santry Community Garden, and a lively discussion, a steering team has been put together to drive the project forward.